Rosalind Tucker in Columns on 1 March, 2016. It seems common for regular gym-goers to turn to their protein shakes after a decent workout. And it makes sense. Heavy strength training essentially damages your muscles, and so protein supplementation should help to restore this damage. 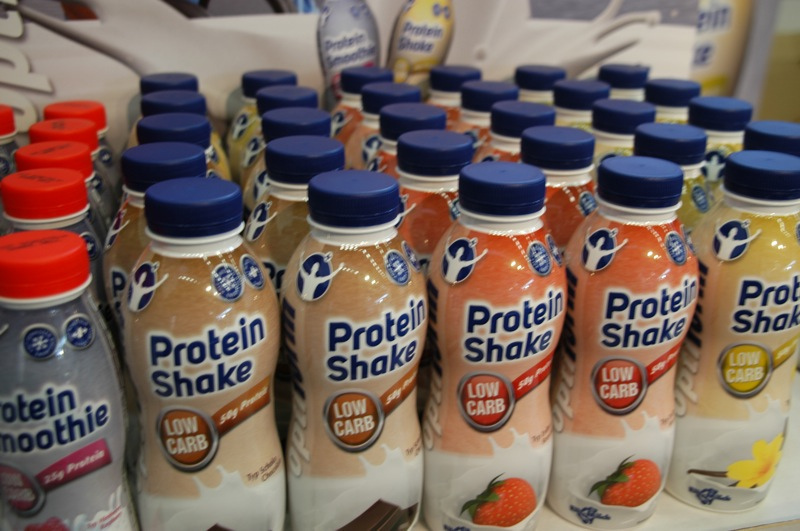 However, what makes these protein powders, shakes and bars so special? And are they any better than your average chicken breast or block of tofu? The science behind protein supplementation after exercise is pretty solid. The anabolic, or muscle-building, effects of training with weights and resistance exercise are thought to be improved when combined with the ingestion of protein supplements. A study from the Journal of Applied Physiology showed that subjects who had a drink containing essential amino acids (the ones your body needs) after exercise displayed indicators of increased muscle protein synthesis, compared to those who had a placebo drink. The scientists concluded that the combination of essential amino acids and carbohydrates, consumed soon after exercise, increases muscle protein anabolism. Further studies involving the tracking of the amino acids in protein shakes have shown that they are detected in muscles after a specific area workout. This again indicates that the protein in these supplements goes directly to the muscle after exercise, and can increase muscle protein synthesis. Protein supplements aren’t just for those only interested in bulging muscle. For the elderly, the loss of muscle mass and strength can be seriously debilitating. Resistance exercise, even if at fairly low levels, is therefore very beneficial. Surprisingly, studies such as one published in the Journal of the American Medical Directors Association, have shown that protein supplementation is essential for these beneficial effects. However, there does come a stage when extra supplementation with protein loses its usefulness. In fact, there is a whole host of studies that show protein supplementation may not have any anabolic effects post-exercise. The conclusion simply depends on the science you read. Interestingly, one study has shown that 20g of whey protein is enough to observe any beneficial effect, but any more than this leads to diminished returns. Furthermore, 20g is just under half what is required from a daily diet so, simply put, you should get all the protein you need from your meals. In this sense, any excess protein supplementation is indeed a waste of your well-earned cash. If you have a standard, healthy diet, you shouldn’t need any more protein. This brings us to the next point. Protein shakes usually consist of similar ingredients: the form of protein, with whey being a popular choice, flavours such as chocolate or banana, and sugar. Apart from the essential amino acids then, these drinks rarely provide any other form of decent nutrition. Your average protein powder contains around 20g of protein. There is over 30g of protein in a can of tuna, but with this option, you’ll also be getting a load more nutrients, such as iron, selenium, fatty acids and good cholesterol. This is far more nutrition per calorie! Overall, the craze over protein shakes and other forms of protein supplementation is mostly due to their convenience. The essential amino acids are crammed into an easily consumable form. For those who need extra protein, this is a good option if you can’t deal with any more servings of chicken or tuna! However, for the average person, your diet should provide all the protein you need. Instead of spending your money on a sugary and arguably useless product, get your protein from normal, more nutrient-dense food.